Becoming a mother is a life changing experience that is filled with excitement and wonder but also brings up overwhelming feelings, doubts and confusion. Yet new mothers often struggle with an expectation that they should experience only positive feelings. 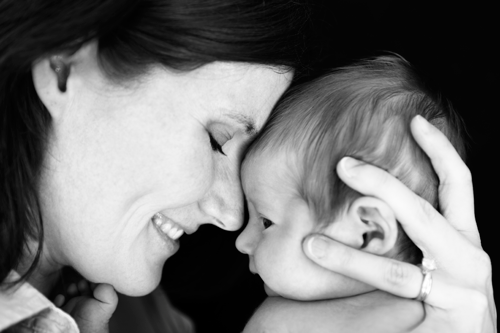 As a result, new mothers may feel alone with their questions and anxieties. They turn to the many parenting books with conflicting expert opinions, but feel they can’t find their unique mother selves. Our mother-baby support groups are a safe place where new mothers can openly share their experiences with other mothers and a professional group leader, while our child development staff gets to know your baby. Sleep, feeding, work outside the home, and adjustment to motherhood are common topics of discussion. As the children grow, separation, limit setting, and peer relations are also common themes. Mothers feel part of a community of other mothers and children and gain confidence in finding their own parenting style, navigating each new developmental step, and attuning to their baby’s temperament.